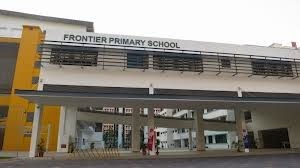 Frontier Primary School is located at 20, Jurong West Street 61 in Singapore 64820. It is enclosed within the Pioneer Constituency. Pioneer sector is part and parcel of the Jurong Industrial Estate, which is considered as the largest industrial sector in the country. Nearest MRT is Pioneer MRT and the closest bus stops are Boon Lay Way (Blk 657) and Jurong West Street 63 (Blk 658C). Amenities in the area include Pioneer Mall, Jurong Point and HDB Pioneer Service Center. Some of the Schools nearby are Jurong West Primary School, Boon Lay Secondary School and West Grove Primary School.